The raising of efficiency of the technological scheme of utilization of reservoir wastewater facilities of LLC "LUKOIL-NIZHNEVOLZHSKNEFT"
Показать PDF версию The raising of efficiency of the technological scheme of utilization of reservoir wastewater facilities of LLC "LUKOIL-NIZHNEVOLZHSKNEFT"
ст-т 1-го курса магистратуры АГТУ. к.п.н. доц. кафедры "Иностранные языки" АГТУ. The annotation. The article is devoted to the technological scheme of formation and disposal of reservoir and waste water. In many cases, produced water is highly aggressive, consequently manifested an intensive corrosion of oil-field equipment and structures, as well as emergency leak of sewage collection, preparation and injected into the productive horizon. Emergency leak cause significant damage to the environment: soil salinization, groundwater sources of drinking water and destruction of vegetation. The article describes the existing scheme of disposal of sewage reservoir. As the example of it facilities of LLC „LUKOIL-Nizhnevolzhskneft” was taken into concideration, describes its disadvantages. The modernization of existing purification reservoir of sewage is proposed . 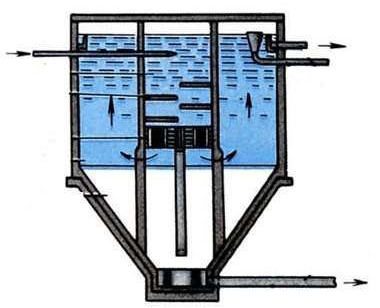 The extra equipment is added to the scheme : a sump is addedю This gives some advantages, namely: the degree of purification of the sewage reservoir is increased , emergency works on the filtration unit ,are excluded and the life absorbing wells not less than 2 times is also increased , all of which gives a positive economic effect. The key words: produced water, separator, dehydrator, electromecanical, hydrocyclone, filtration unit, sedimentation tank. At present we have a situation in which the whole system of collection and transportation of oils in a number of fields is unstable and unsustainable because of the high aggressiveness of the environment in all phases of the process streams. The increasing aggressiveness produced and transported environment contributes to a drastic reduction of the actual lifetime of the equipment and pipelines of oil gathering and reservoir pressure maintenance(RPM). The service life of pipelines and tanks reduced to 1-2 years. The main environmental pollution occurs as a result of accidents in pipeline systems transporting highly products (oil collection system oil), or oil-containing formation water (BPA system). In any case, the environment is a produced formation water with oil content up to 20%. All this makes it relevant to reducing ecological risk of produced formation waters. By the name „waste water” we should understand all the drainage water disposed into the reservoir in a pressure maintenance system or into absorbing wells. According to the requirements of the industry standard „Water for waterflooding of oil reservoirs. Quality requirements” , the content of oil products and mechanical impurities (SPC) in WW(waste water), disposed in a pressure maintenance system, should not exceed 40 mg/dm3 of each. The waste water of oil fields generally contain residual petroleum products, chemical reagents (reagents-demulsifiers, inhibitors of corrosion and paraffin deposits, various acids, etc.) used in the extraction and processing of oil, suspended solid substances, including the components of oil reservoir rocks, the products of corrosion of downhole and surface equipment, pipelines, sulphide iron etc. So the waste water disturb the ecological balance of the aquatic environment on Earth. For example, as a result of the proceeds of various substances with sewage into the bowels of the Earth is continuously increasing salts in surface and groundwater, in particular, in many rivers it increases to 30-50 mg/dm3 annually . In addition to the negative environmental aspects of disposal of contaminated wastewater, there are economic ones. From an economic point of view, in particular, the low content of oil in waste water of oil fields gives huge losses. In the oil fields, the oil content in the wastewater is disposed into the formation, often exceeds the permissible limits. The periodic increase of the oil concentration reaches 400-600 mg/dm3 and more, although the parameters of operation of the gathering systems and oil treatment technology are supported in normal mode without modification. 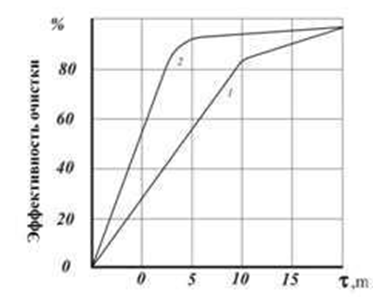 The studies have established that [2,5,6] the quality of wastewater influence injected into production wells chemical reagents, in particular corrosion inhibitors, reagents, demulsifiers, various acids, as well as the organization of hydrodynamic technology of drain of the aqueous phase in the settling equipment. It was established  that one of the reasons for the pollution of the ST oil products is of volley processing of crude production of the wells the large amount of surface-active substances (surfactants), such as corrosion inhibitors or demulsifiers. 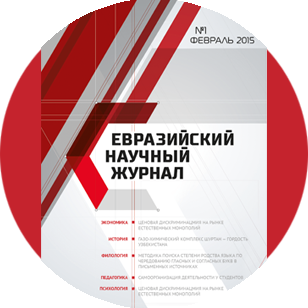 It is proved by the studies conducted at the facilities of NGDU „Game” and „Votkinsk”, JSC „Udmurtneft” [7-8]. 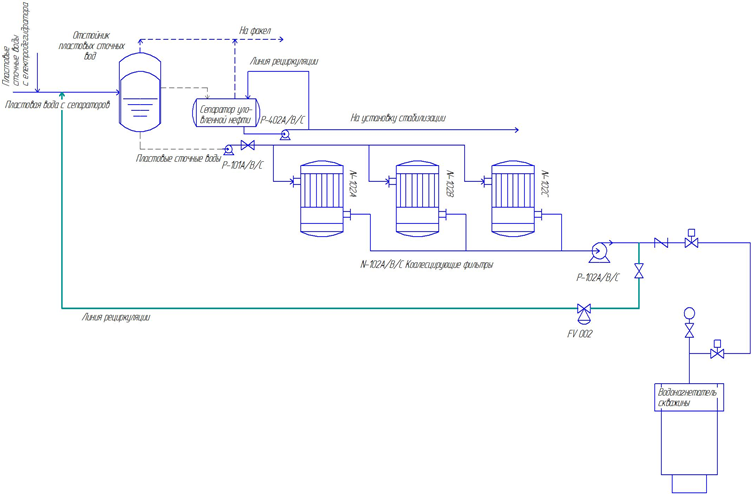 The existing recycling scheme of formation of waste waters at the facilities of LLC „LUKOIL-Nizhnevolzhskneft”. Consider existing recycling scheme of formation of waste waters at the facilities of LLC „LUKOIL-Nizhnevolzhskneft”. Produced water identified in the separators of the second and the third stage of separation, is fed to the treatment unit and injection of produced water. Produced water contains up to 2000 mg/litre of oil and is preparing to remove oil and solids to meet the requirements of OST 39-225-88 . The preparation of formation water and injection is produced in the closed circuit. Untreated produced water is removed from the technological three-phase separators of the second stage by oil pipeline and process three-phase separators oil of the third step on the installation of preparation of the produced water. The reservoir of waste water from the dehydrator and electronicsrelated return to the input of the oil separator of the third stage. From the separator of the second and third stages untreated produced water is fed to the hydrocyclones. Produced waste water enter the hydrocyclone through multiple tangential inlets. Hydrocyclones equipped with more than 80 high-performance hydrocyclone tubes VORTAL. The oil discharged from the upper part of the hydrocyclone. The remaining liquid with the heavy impurities is removed from the tail of the cyclone in the same tank (degasser) is caught in the oil, separated by a solid partition (partition height 1125 mm). Formation water emerging from the degasser must contain hydrocarbons below 50 mg/L. For the project it was envisaged that the oil caught in the degasser is pumped to the 3rd stage separation and produced water comes to the reception of three booster pumps and pumped them through the water filter unit, where should be the removal of water from mechanical impurities (larger than 5 µm) before injection into absorption wells. Filtered water with the aim of recycling is supplied to the intake of the pump and through a manifold of water injection and comes in one of the three injection wells (water supply pressure is 9.2 MPa). 3. Permanent (not planning, emergency) replacement of cartridges on the filtration unit and the reservoir pumping waste water to bypass the filters in absorbing horizons. Stop, replacement of cartridge filters 120 is a heavy gas dangerous work with high risks of injury to staff. 4. Pumping reservoir wastewater by passing the filtration unit of will eventually lead to the fall of acceleration of wells and require stop absorbing wells and conducting workover and acid washing the bottom zone of the wells. The modernized technological scheme of clearing of reservoir sewage. Reservoir waste water after hydrocyclones are separated in a settling tank into hydrocarbons (oil) and water. Produced wastewater is sent further on cholesteremia filters where they are cleaned from mechanical impurities and residues of hydrocarbons and is pumped into the discharge (absorbing) wells. Once in the filter, the water passes radially inward through the elements of cartridge filters. Particles of solids greater than 5 µm are delayed by the filter. The upper drain from the sump flows into the separator collected oil where pumped into the system of stabilization of oil. The increasingthe of degree of purification of waste water formation due to trapping by the reservoir — sump up to 80% of hydrocarbons. The exception of emergency work on the filtration unit and the risks connected with the replacement of the cartridge on the filter and more rare replacement. In combination, these advantages of the scheme will have a positive economic effect. As you can see from the relationship, when the content of stratal and waste water in the sump is for about 10 minutes, the cleaning efficiency is 80%, i.e. the incoming in the system of purification water has a good degree of purification. A preliminary calculation shows that the frequency of replacement cholesterolic filters when using clarifier in the scheme of formation and disposal of wastewater will be reduced by 2.7 — 3 times, which has an economic effect 66 342 698 R (in 2016 prices). Development and implementation of technologies and technical means of preparing wastewater El, Mishkinskogo, Kiengopskogo, Gremikhinskoye and Izhevsk oil fields for the purpose of injection into the pressure maintenance system (phase — preparation of water Kiengopsko field). The research reports. The hands-l of Sigmar — Danov, V. H. Izhevsk: Udmurtneft, 1994. Development of actions on increase of reliability of system of wastewater treatment in Votkinsk NGDU. The research reports. The hands-l Shaimardanov, V. H. Izhevsk: Udmurtneft, 1997. Litvinenko V. I. Too He Can Evidently N.D., Volkov V. N. Ecological and technological bases of complex use of formation waters of oil fields. Ukhta: USTU, 2001.-Pp. 2-6. OST 39-225-88. Water for flooding netanyah layers. Quality requirements. Industry standard of the USSR. M., 1990. Shaimardanov, V. H. Increase of efficiency of preparation of the sewage for disposal into the reservoir. JSC „Udmurtneft”, 1998. Shaimardanov, V. H. The Problems of wastewater in the oil industry. Izhevsk: CIGIC, 2007. Technological regulations, standards of chemical dosing de — emulsifiers on the objects in the collection and preparation of oil Igrinskaya th NGDU. The research reports. RD 39-1831034040. 10.08.-99-2. The hands-l Shaimardanov, V. H. Izhevsk: Udmurtneft, 1999. Appendix 1. The modernized technological scheme of purification of sewage reservoir.